Grain monitoring systems are essential to ensuring the health and quality of your grain, which is why Flaman provides award winning options for you to choose from. 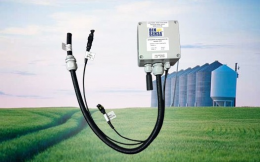 BIN-SENSE and OPI are well known brands for grain monitoring and have handheld or wireless system options available, as well as supporting equipment like moisture and temperature monitoring cables to create a set up unique to your grain management needs. Have instant access to your grain with BIN-SENSE LIVE, a reliable wireless grain monitoring system. You’ll be able to read information on the quality of your grain with an intuitive display screen and set up text alerts to be sent to your phone or email when any changes occur. Also available is BIN-SENSE DIRECT, an on-site handheld tool that transforms your smartphone or tablet into a grain monitor with Bluetooth. This tool is Apple and Android compatible with the free download of the BIN-SENSE app. Flaman also sells the BIN-SENSE Fan Controller, an item that when connected BIN-SENSE LIVE allows you to control your aeration fans via your smartphone, computer or tablet. 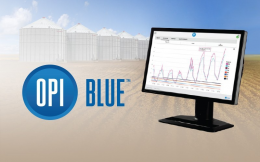 OPI Blue is another wireless grain monitoring system that sends hourly updates regarding your grain to your desktop or mobile device and is compatible with your pre-existing OPI grain management system, allowing you access to critical information no matter where you are. OPI STORMAX is a low-cost handheld monitoring system that provides you with accurate digital data and allows you to store that data to analyze long-term trends in your readings. Flaman also offers grain probes to monitor and sample your grain. We have single sample probes that are made from heavy duty tubing in sizes ranging from 6’ (12 openings) to 10’ (19 openings). Drop into one of our 9 dealerships located throughout Alberta, Manitoba and Saskatchewan to speak with one of our over 30 farm sales experts for more information and to pick up a grain monitoring system that fits the needs of your operation.